TOP 15 Interview Questions for a Dietitian Job - Can You Answer Them? We are what we eat, and what we breath. Nutrition plays a pivotal role in both prevention and cure of numerous illnesses and diseases. Yes–your future job is important. Very important. And you should be proud of yourself (or grateful) for the career choice you made. Since it is easy to see a meaningful purpose in your work, you should enjoy doing it for a long time. But what will happen in your interview for this job? And how difficult it is to get it? There are still many hospitals and care centers that do not employ a single dietitian. They rely on the pharma business (or perhaps they just follow the money), and they do not care about the nutrition of the patients. 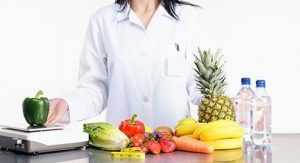 Demand for this profession is not high, and if you live in a smaller city, you won’t find many job openings for dietitians. This is true at any given time of a year. On the other hand, the competition is also not super high. It takes quite a lot of time to become a registered dietitian (3-4 years to earn a degree, 6-12 months internship, 1 month for an exam and getting a license), and this jobs pay less than most other professions in healthcare (average salary is around $50,000 per year). People with no serous interest in the subject will not pursue this career. This means one thing only: You won’t compete with many other people in the interview. Perhaps just two or three candidates. Typical interview process for this position will start with a few personal questions. Hiring managers will ask about your education, motivation, and goals, trying to get a good grasp of you as a person. Why have you decided for a career of a dietitian/nutritionist? Tell them about the meaningful purpose you see in your job. Tell them that you believe strongly in the role of nutrition in healthcare. You can even take your response one step further, referring to a catastrophic health of US population, in terms of obesity, diabetes, and other medical conditions. Why do you want to work for us? Why not your own practice? If you happen to be starting your career, the answer is obvious. You firstly want to learn the job and gain experience , before you start thinking about your own practice. But you can also say that you simply prefer employment to freelancing, and do not like to hassle with marketing and other things. You can also praise their hospital/clinic/health center for something (reputation, facilities for patients, strong focus on nutrition) and say it motivated you to apply for the job with them. What do you want to accomplish in this job? The best answer is probably saying that you want to help each and every patient, with right advice and nutritional program. But if you want, you can go for a more holistic approach. You can say that you hope to help to improve the overall health and well-being of the population in your city/country. Tell us something about your education/experience. Keep it brief. They will ask for details if they want to hear more. Speak with enthusiasm about your studies and internship, and ensure the interviewers that you feel ready to do the job. How do you plan to keep your knowledge up to date? The second part of a typical dietician interview is more difficult. They will inquire about various situations, health problems, and the diet you’d suggest. They may also inquire about things such as conflicts with colleagues, experiencing pressure, success and failure, and other. Answers to situational questions help them to understand your attitude to work, to patients, and also your readiness for the job. Let’s have a look at some questions. Imagine that you prescribe a diet to a patient, and they refuse to follow it, saying that they can’t eat the way you suggest. What will you do? Everyone has their own free will. Your goal is to do the most for the patient, ordering the best possible diet for their condition, but you can’t force them doing something they do not want to do. Say that you will explain them, in a calm voice, all the benefits of the suggested nutrition, and also the risks they’d take not following your suggestions. But you won’t shout on them or anything else. Imagine that you see a medical record of the patient, and believe that one of the drugs they are taking interfere with the healing processes in their body. What will you do? Dietitians are neither doctors, nor pharmacists. When you work alone, in your own practice, and bear all the risks, you can afford suggesting the patient to stop using the drug (ore reduce dosage), or at least to consult their doctor on the side affects. When you work for someone else, however, you should respect the opinion and decision of your colleagues, other healthcare professionals. Say that you will explain them the negative effects, becasue you consider it as your duty, but won’t tell them to stop using the drug. What diet will you prescribe to someone suffering from cancer? Reducing the intake of proteins, and animal products in general, is a suggested diet in this case. More fruits and vegetables, especially raw. One of your patients refuses to stop smoking, and you know that this step is crucial for their cure/recovery. What will you do? The best idea is probably going for a conservative program–continually reducing the number of cigarettes they smoke each day, or smoking cigarettes that include less nicotine. Take them on the journey step by step. You can also suggest supporting activities that help to promote the lungs health, such as Nordic walking, going to nature, or doing any other physical activities. And you can prescribe foods that help to flush the nicotine out of our system, such as fruits and vegetables, green barley, and others. Describe a conflict you had with a patient. How did you handle it? Describe a time when you had to deal with an angry or upset client (patient). Describe a time when you struggled to communicate something to your boss, colleague, or to a patient. How did you manage to get your message over? 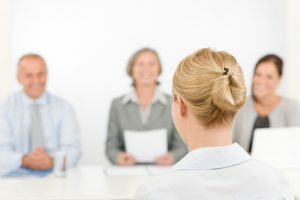 Job interview for a dietitian position does not belong to difficult interviews. You will not have to answer tough technical questions, and you won’t compete with many other people for the job. On the other hand, there aren’t many vacancies at any given time, and you should do your best to succeed once you get a rare chance to interview for this job. Continue your preparation with InterviewPenguin.com – Your best job interview coach since 2011. Interview Success Package – Great answers to thirty most common personal and behavioral interview questions. Get ready for the big day and learn how to impress the hiring managers.